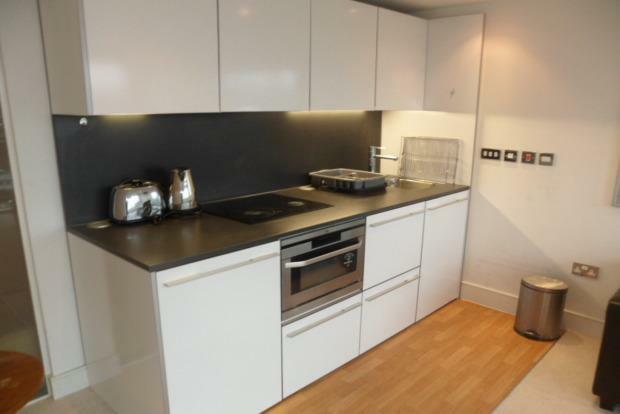 1 Bedroom Apartment To Rent in Nottingham for £750 per Calendar Month. ONE BEDROOM apartment in the popular Litmus Building. Property comprises: hallway, open plan living area and kitchen which accommodates a modern kitchen with fitted appliances along with a floor to ceiling window which leads onto the balcony offering great views over Nottingham. The kitchen is well equipped with storage space and appliances, including an oven, hob and washing machine. Off the hallway, the bedroom is a generous double size with built in storage the bedroom is a generous size with a double built in wardrobe to provide plenty of storage space, the bathroom is also generously sized, offering a white three piece suite with shower over bath. The flat is neutrally decorated and is bright and spacious. This popular development, the accommodation includes access to leisure facilities including a gym, swimming pool and sauna. There is also an allocated parking space! Viewings are available now! Call to register your details!